We aim to provide the perfect station experience! 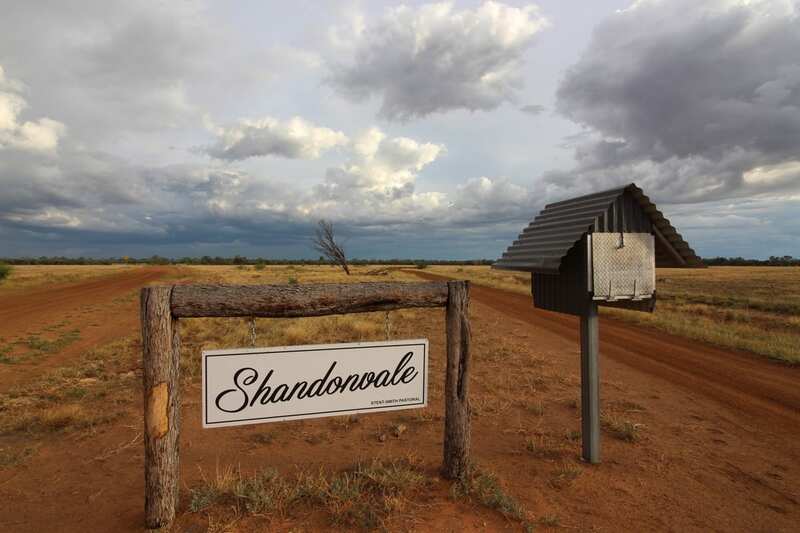 When you come to Shandonvale, our family property, you become part of our family. The Shandonvale Station experience is totally exclusive. We only accept one booking / group at a time. -The Sunset Boat-shed Experience - enjoy canapes, cheese, wine and watch the sun set over Amarac creek. - One fully guided station tour. Take a drive with Deon across the vast paddocks of Shandonvale Station and learn the ins and outs of life on the land. - A home-cooked gourmet meal at the Homestead each evening. A broad selection of white and red wine will be on offer. - Treetop Artesian Bath Experience - enjoy the two million year old mineral rich waters of the Great Artesian Basin in our rustic bath set 6.5 metres above the ground in the treetops of iconic coolabahs of Aramac creek. Kick back with champagne and enjoy the natural, incomparable beauty. - Fully guided shoot at our station’s rifle range. Doesn’t matter if you’re an amateur or experienced shooter, learn the in's and out's of using a rifle from a .22 to a .458. Or git your eye in shooting clays with a shotgun. - Or a fully guided archery experience (one hour) Release your inner Robin Hood on our target range with a traditional long bow or compound bows. Adults $190 pp, per night. Children aged between 5 - 16, $80 per pp. Fly in / fly out private aircraft customers, lunch can be catered at additional cost of $30 pp per day. The Station Takeover package is suited for a maximum of 8 guests, ideal for groups or large families. 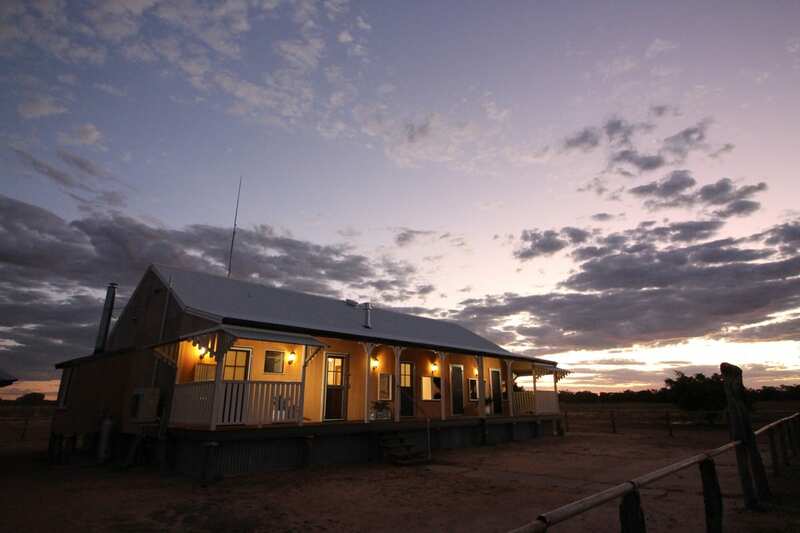 $175 pp per night for 8 guests. Flat rate $1400 per night. If you're looking for a richer experience, we have a range of optional activities you can choose for your stay. 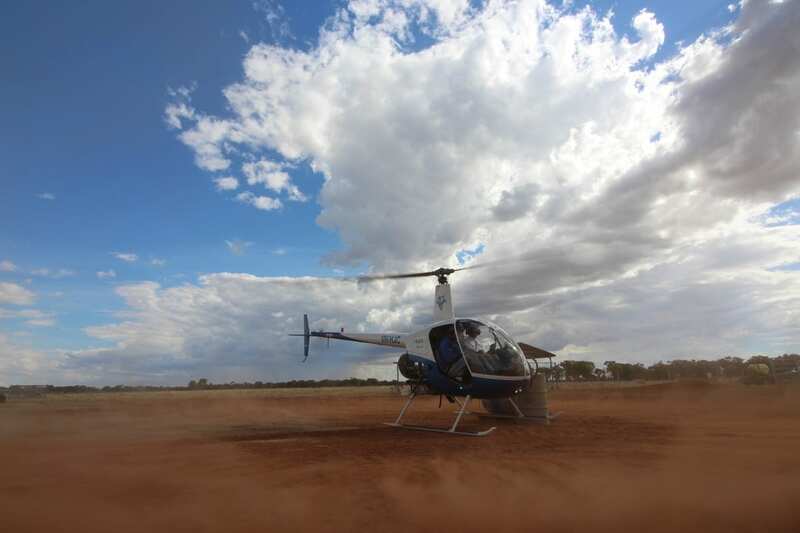 - A once in a lifetime helicopter mustering experience, low level flying over kangaroos, camels and sheep. See what it’s like to be a spotter for a seasonal mustering pilot - this two-hour, must-do experience is fun for all ages. Have smoko and swap yarns with our local mustering pilot Tim Rainer before jumping in the chopper and getting a birds-eye view of the outback. - Two hour experience / minimum one hour flight time, max four people per booking. A full refund will be offered if weather or Acts of God prevent you from having a booked experience - at the discretion of your host Deon, who knows from the conditions and the lay of the land that it’s not hazardous. We care about your safety! To add one of these unique optional experiences, please email or phone to book. These experiences are not suitable for children under the age of five. 2019 season now open (1 April - 1 November).